Despite the severe challenges faced by Ukrainian economy because of the military action in the predominantly industrial eastern regions, the GDP reached 4.7% growth in the fourth quarter of 2016. 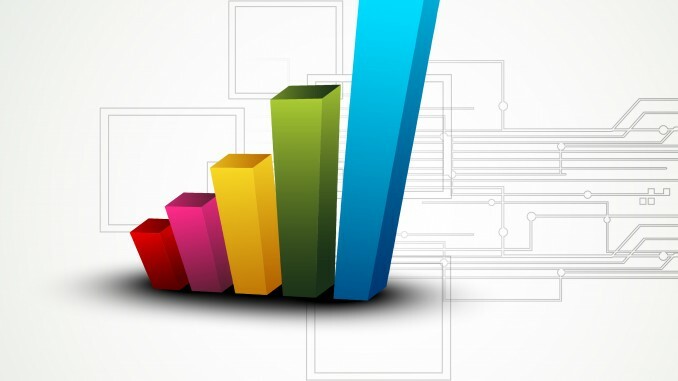 Statistics showcasing positive dynamics were published by the State Statistics Service of Ukraine. As reported earlier, Igor Verner, the head of the Statistics Service, said that the government succeeded in stabilizing macroeconomic indicators in Ukraine. Positive changes manifested themselves as a 2% GDP growth in the third quarter of 2016. He also estimates the GDP growth in 2017 at 4.5 – 4.8%. Similar views were expressed by a number of independent organizations. Concorde Capital, an investment company with a long history of working in Ukraine, expects the GDP to grow by 2.1% in 2017 provided the inflation rate is 7.9%. However, the company also notes that a significant part of the growth achieved last year resulted from a low comparison baseline and, therefore, a greater volume of investments will be needed to support that growth. At the same time, United Nations Economic and Social Council estimates Ukrainian GDP to grow by 1.9% in 2017 and by 3.2% in 2018. According to the UN experts, inflation rate in 2017 is expected at 12.7% followed by 8.6% in 2018. After two years of decline, analysts expect 1.7% economic growth in the CIS countries. The positive factors indicating this might be the case are stabilization of oil prices and less acute political tension. The World Bank estimated the Ukrainian economy to grow by 2% in 2017. This is part of the country’s progress in reforming public finances, debt policy, energy and banking sectors. International Monetary Fund estimates Ukraine’s GDP to grow by 2.5% in 2017. Ukrainian government expects the country’s GDP in 2017 will grow as a result of attracting more foreign direct investments and boosting exports.